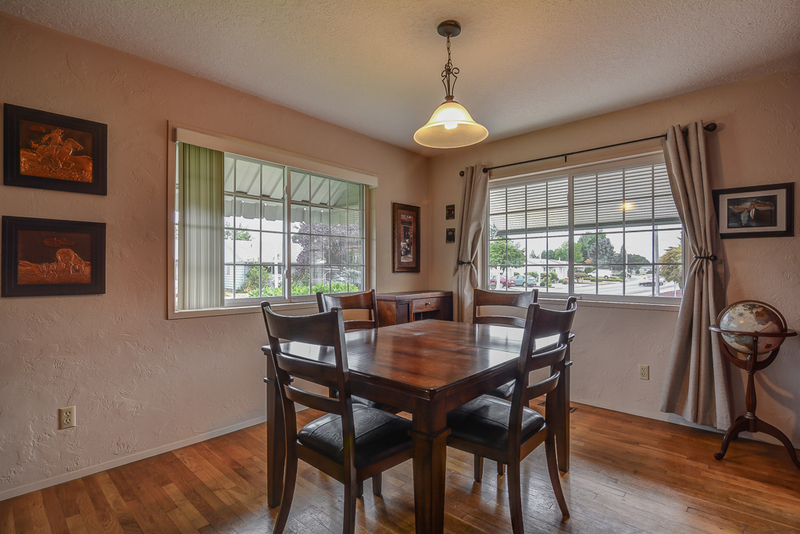 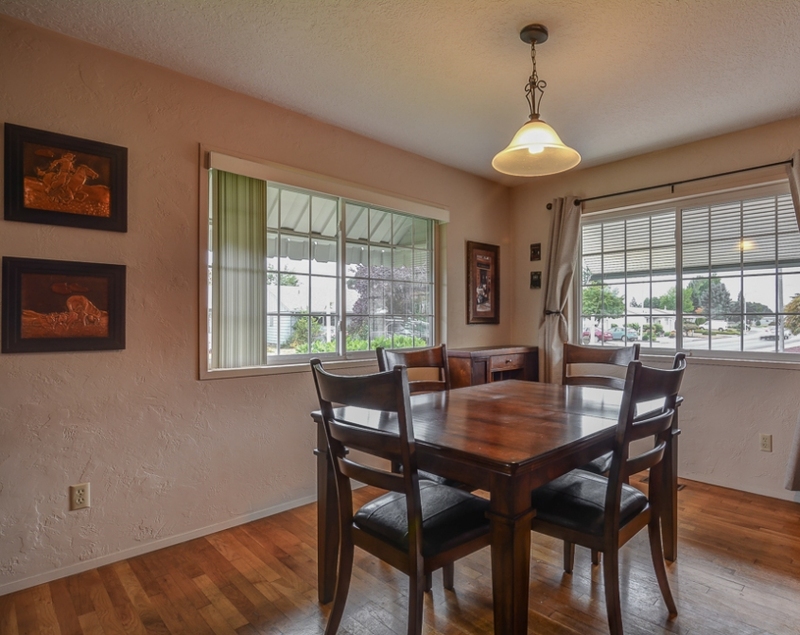 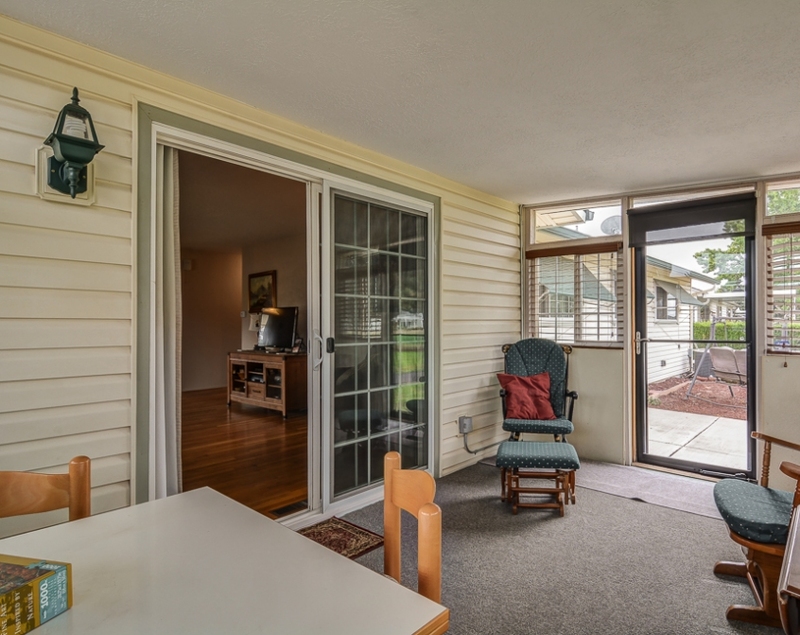 Impeccably Maintained & Move-in Ready! 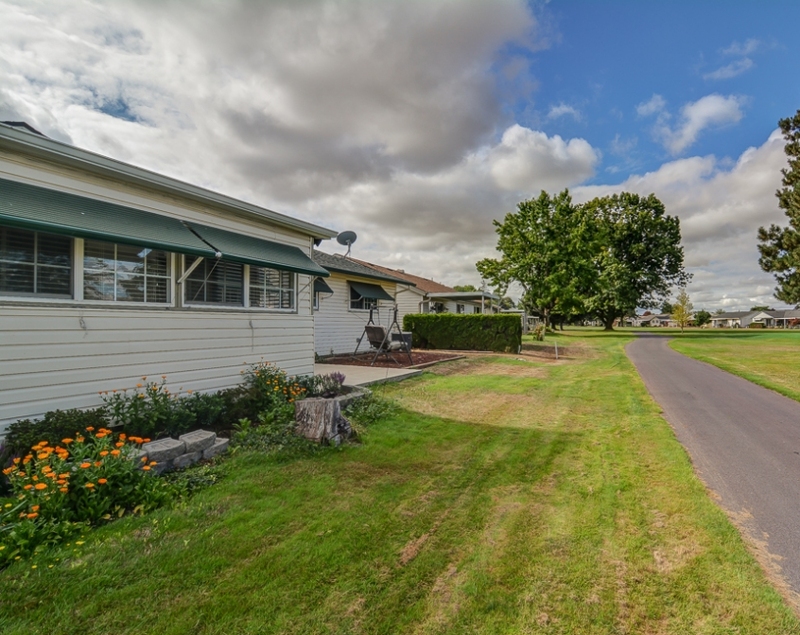 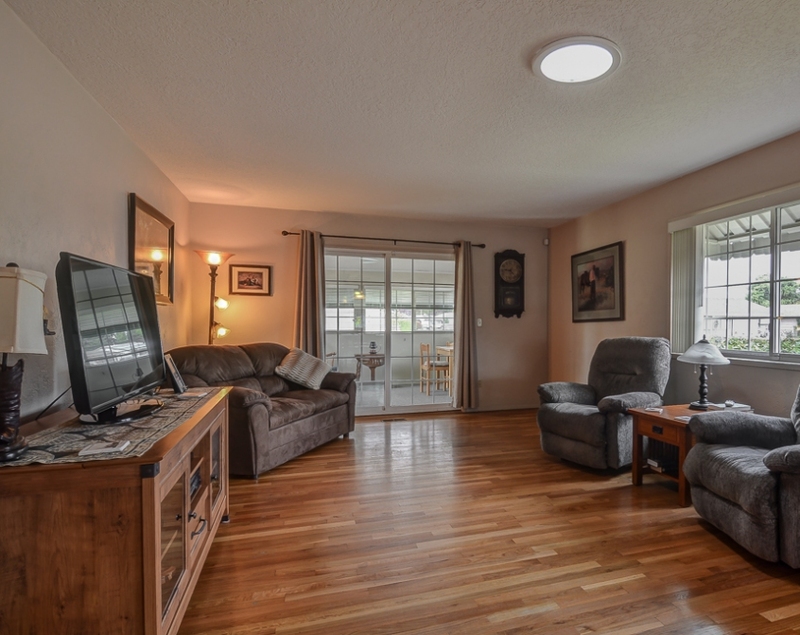 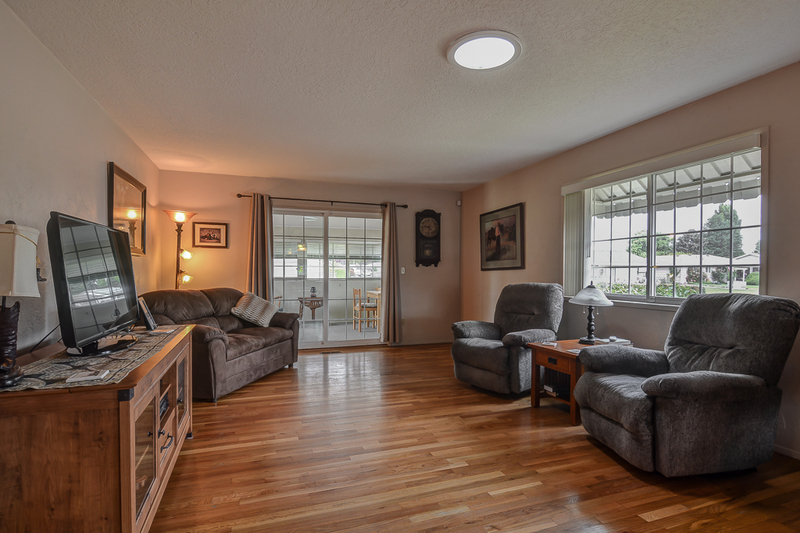 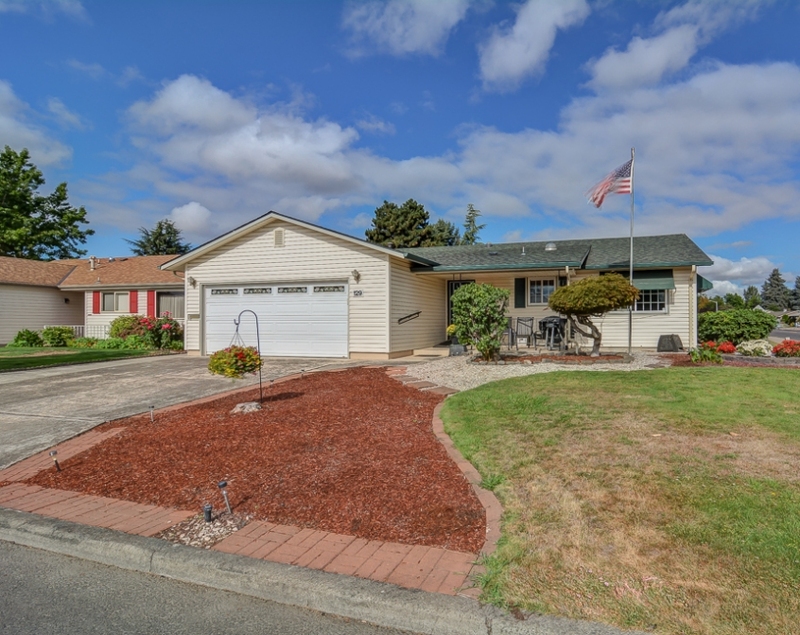 Welcome to this meticulously well-maintained home located on a spacious corner lot, in the heart of Woodburn Senior Estates. 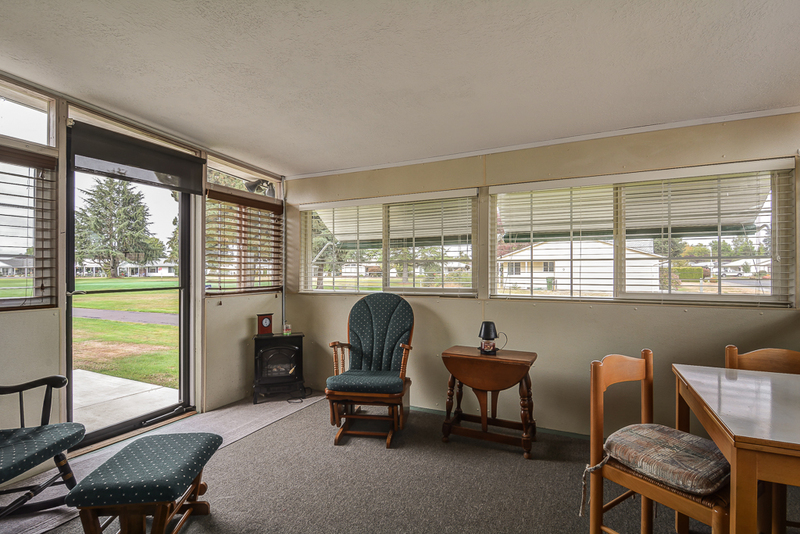 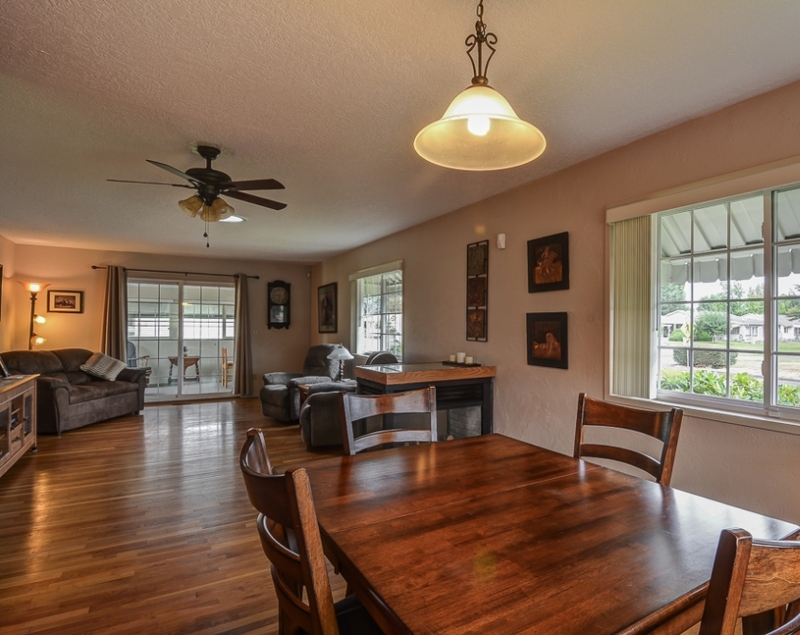 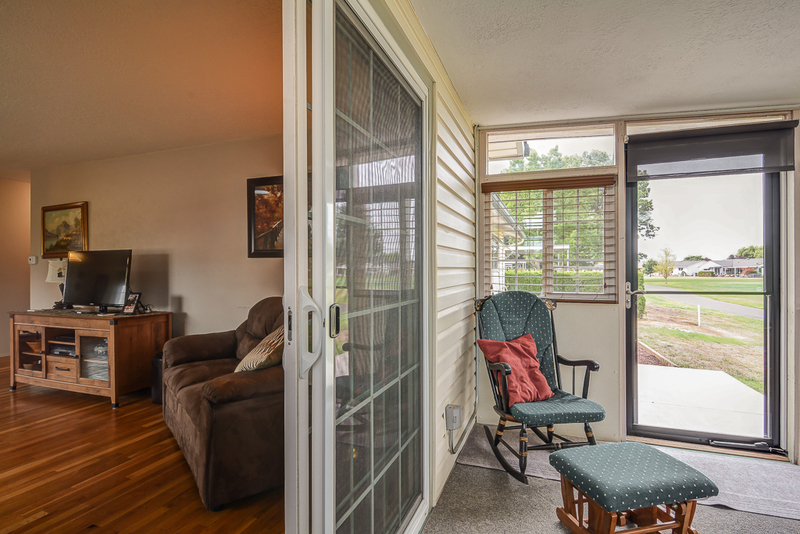 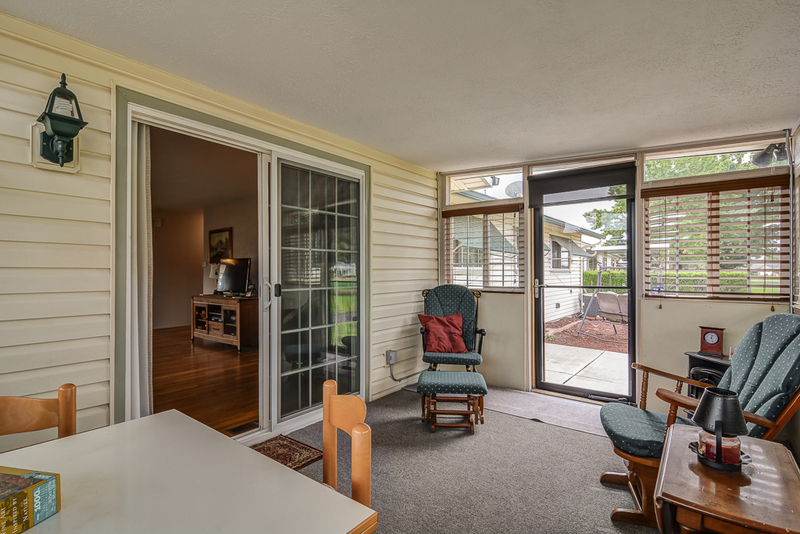 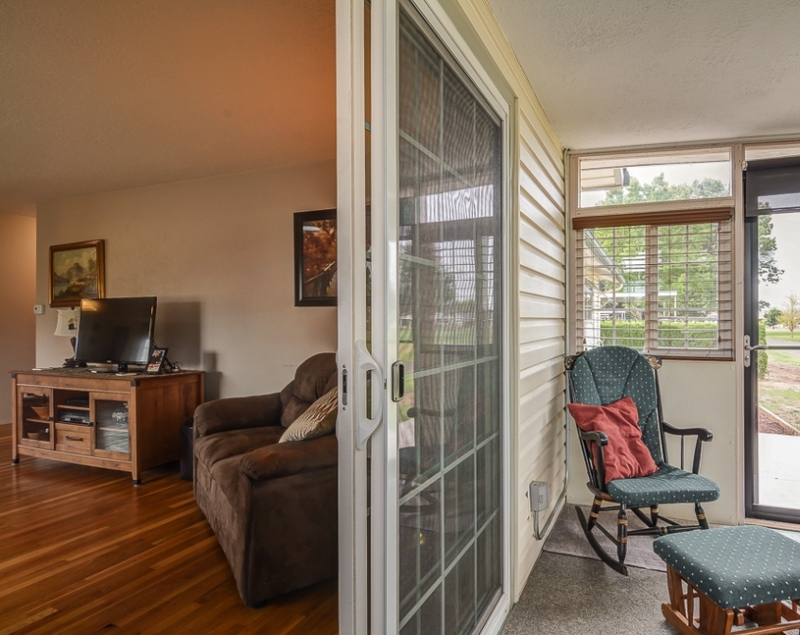 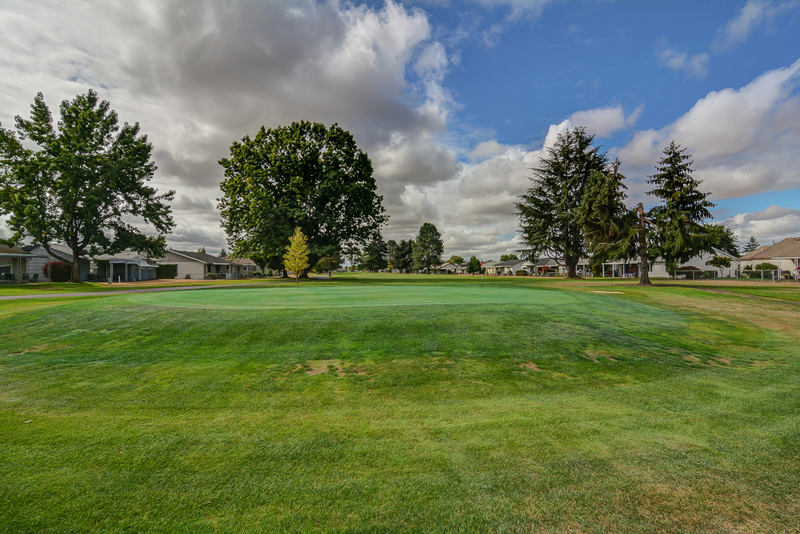 This 2 bedroom, 1.5 bath oasis boasts a prime location and a lovely view of the golf course. 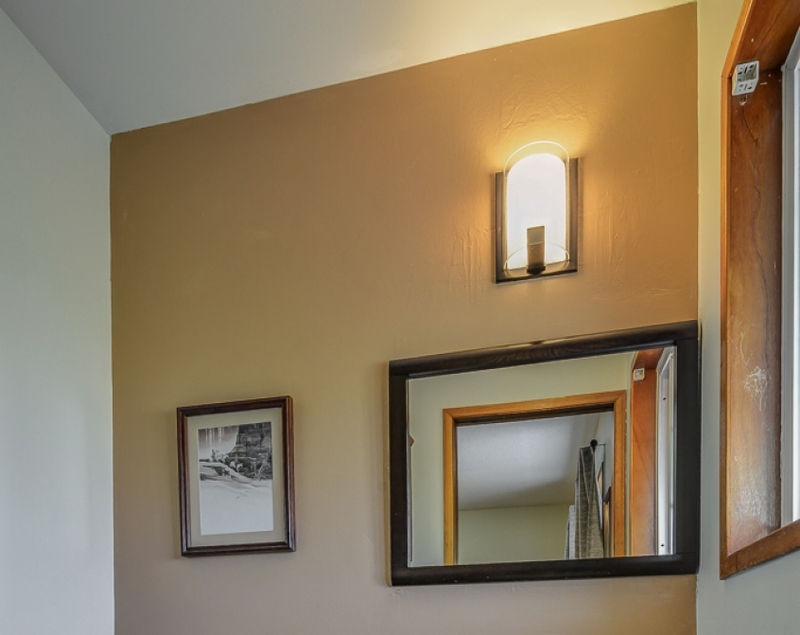 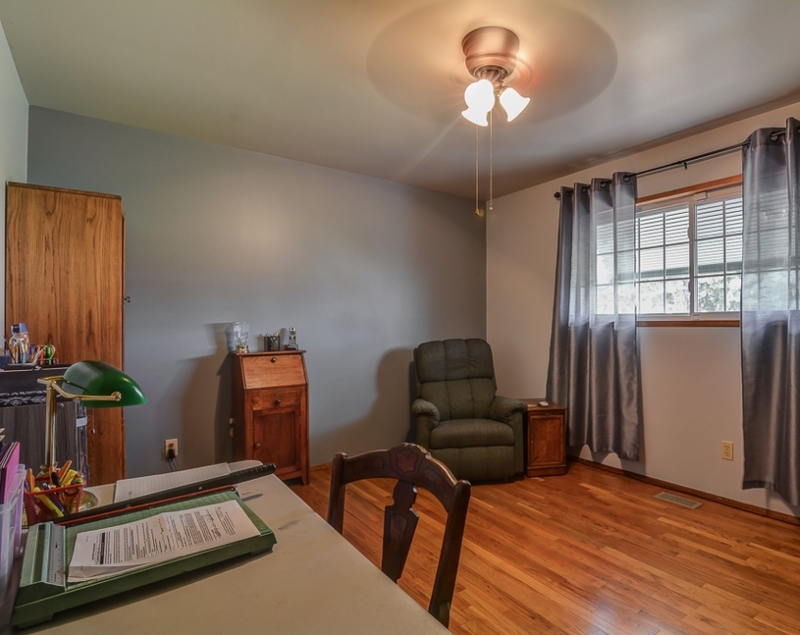 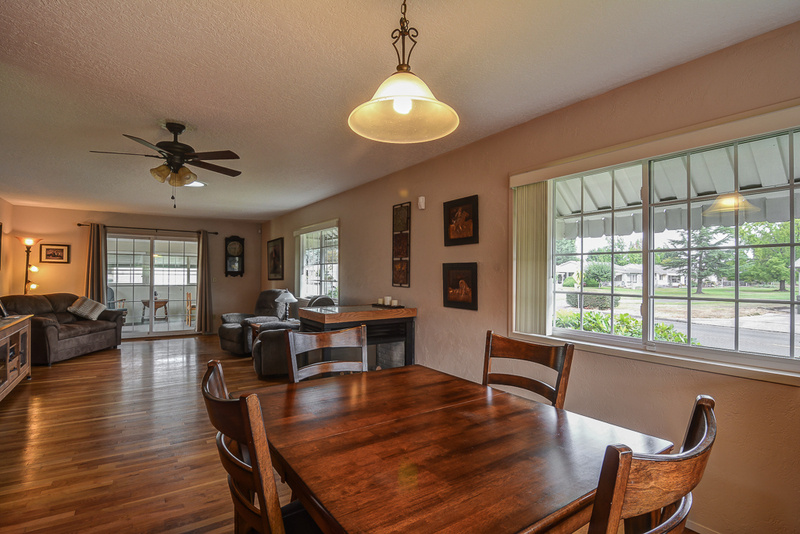 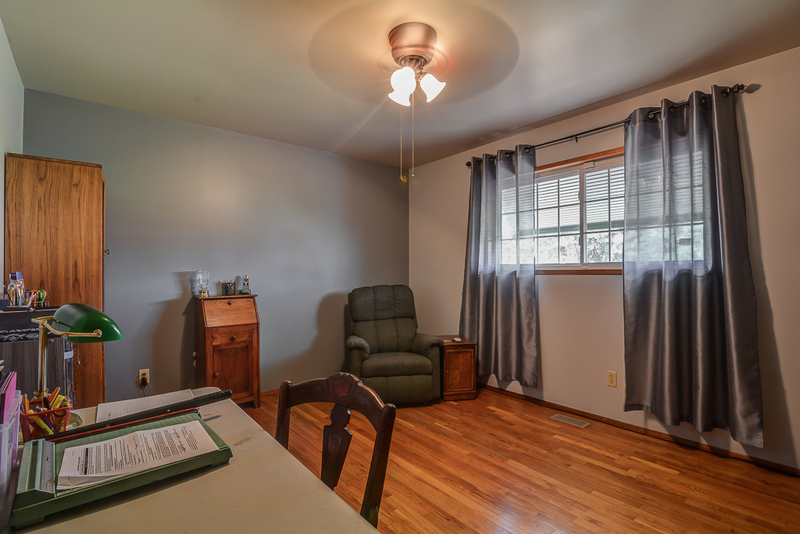 As you enter this charmer you will quickly notice the sellers' pride of home ownership and attention to detail. 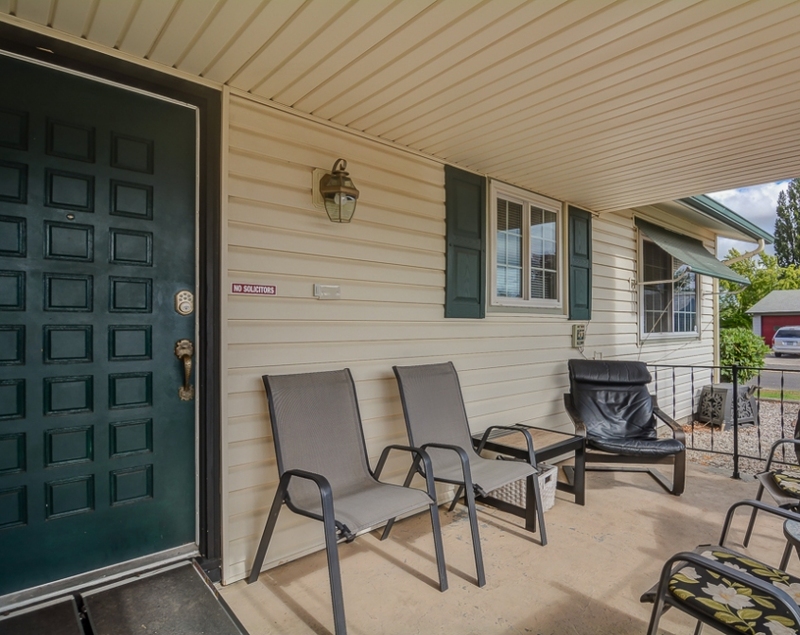 This home is turnkey with fresh paint, hardwood flooring, bonus sunroom, oversized 2-car garage and is also fully accessible-friendly! 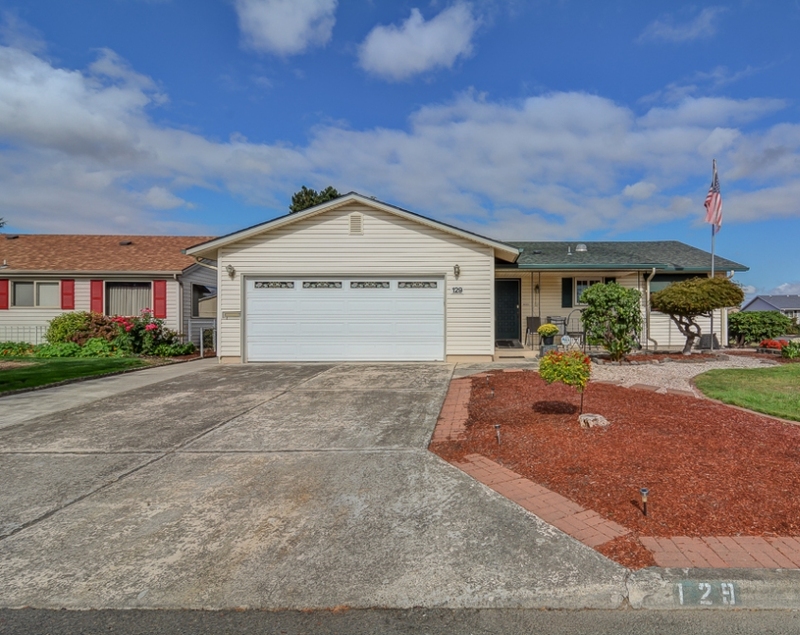 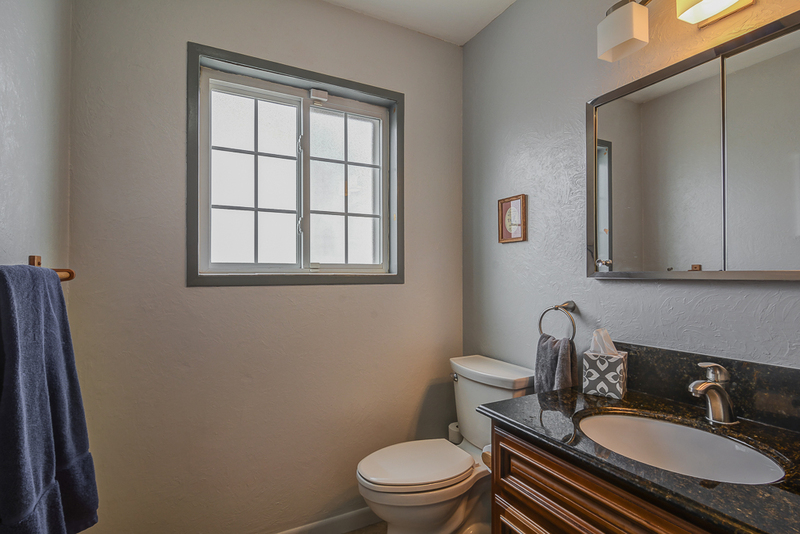 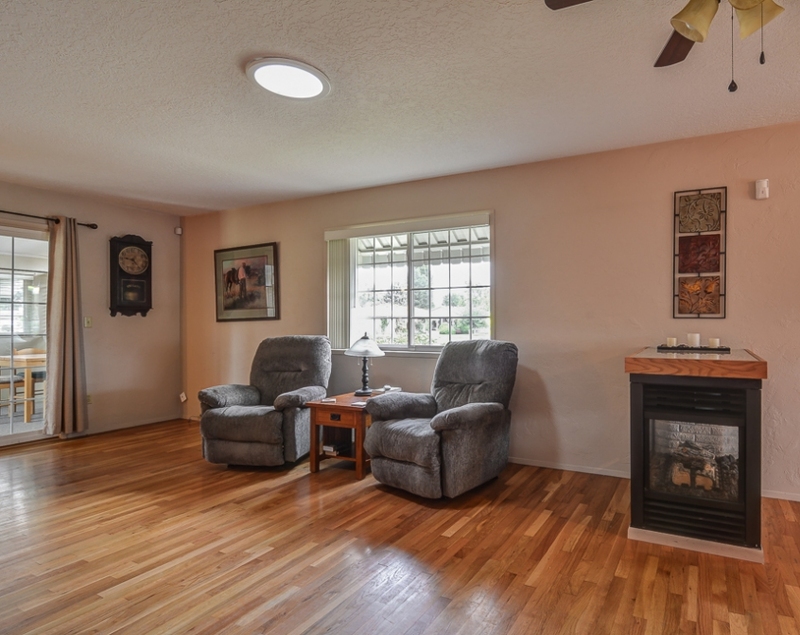 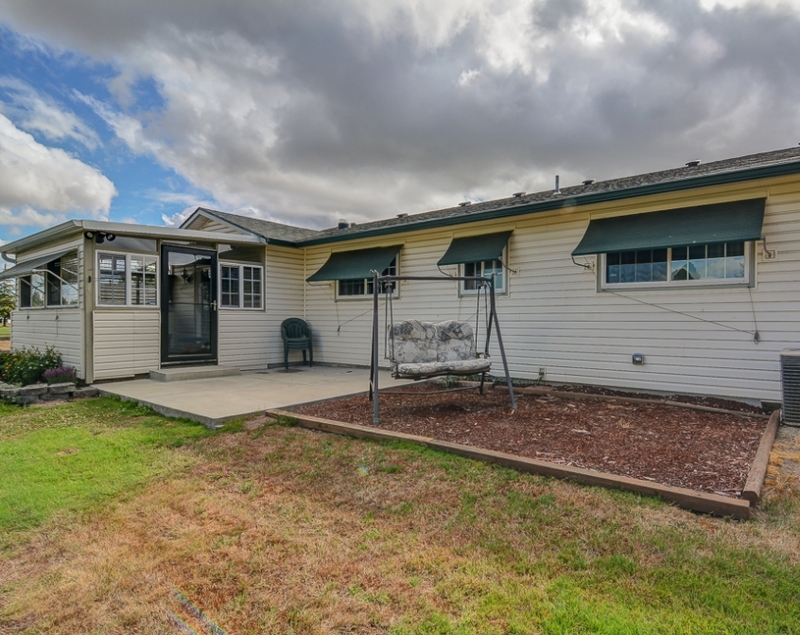 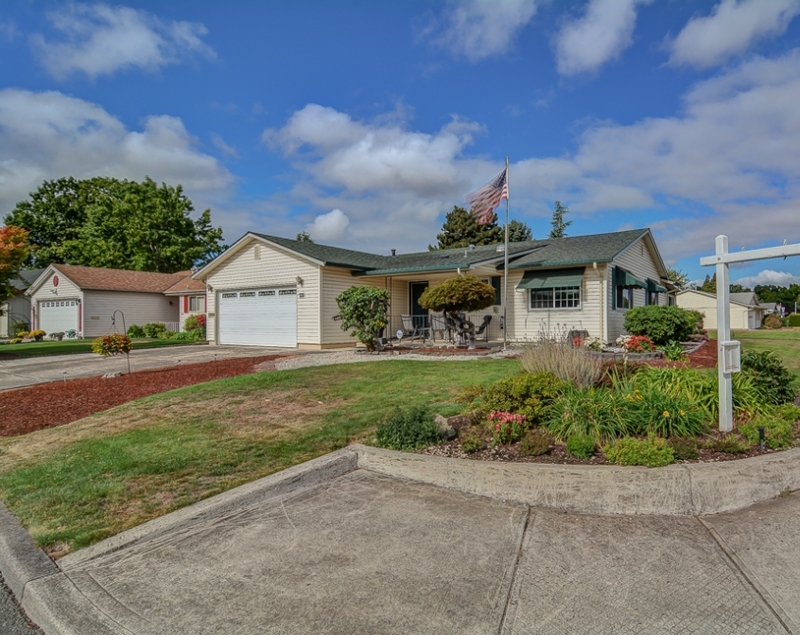 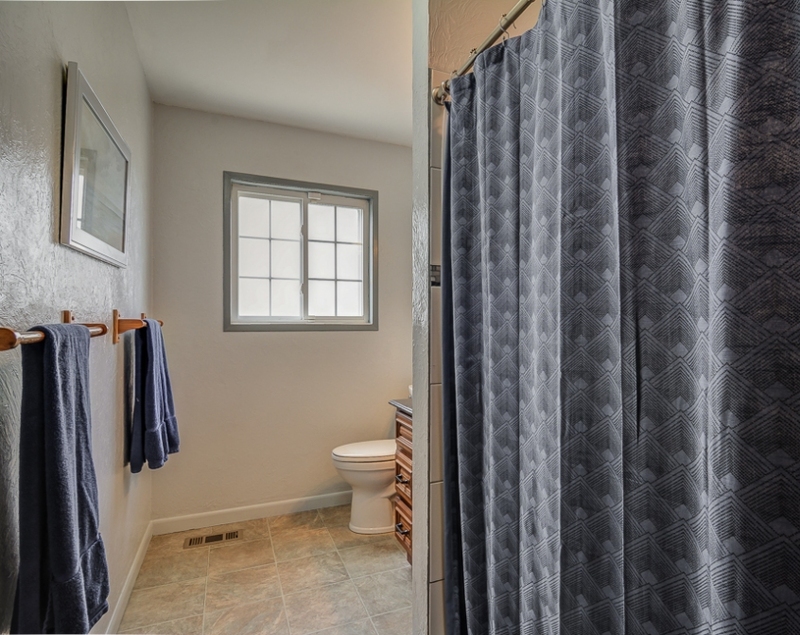 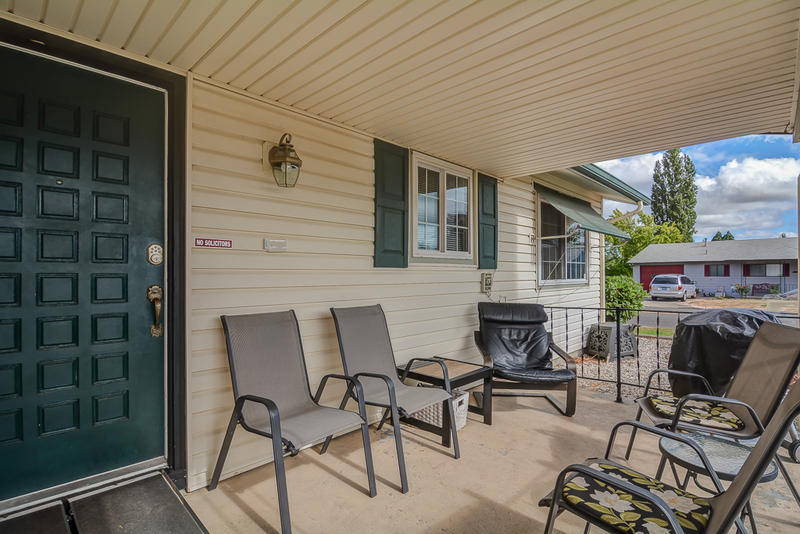 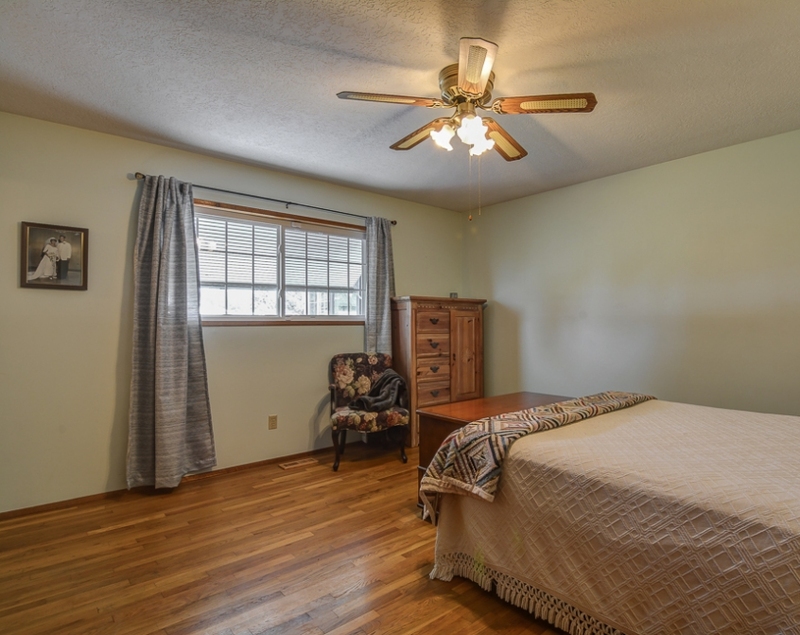 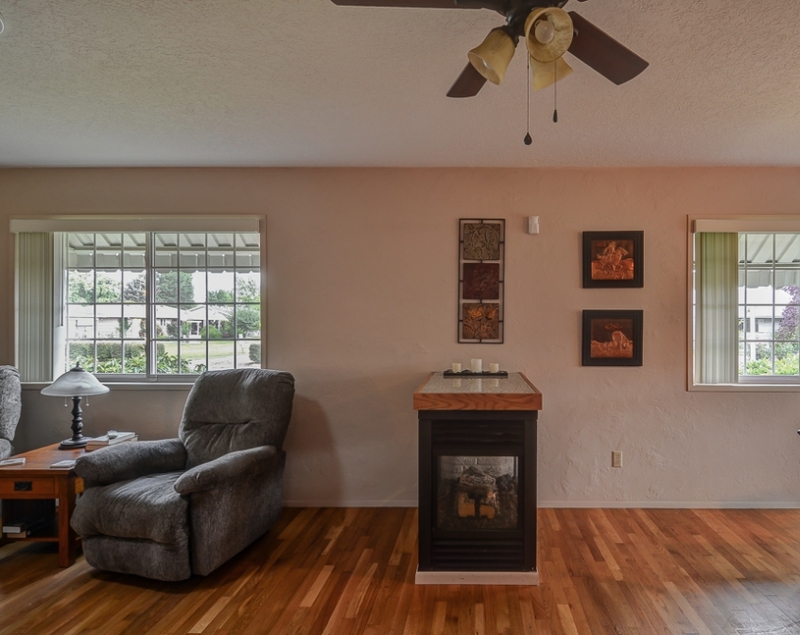 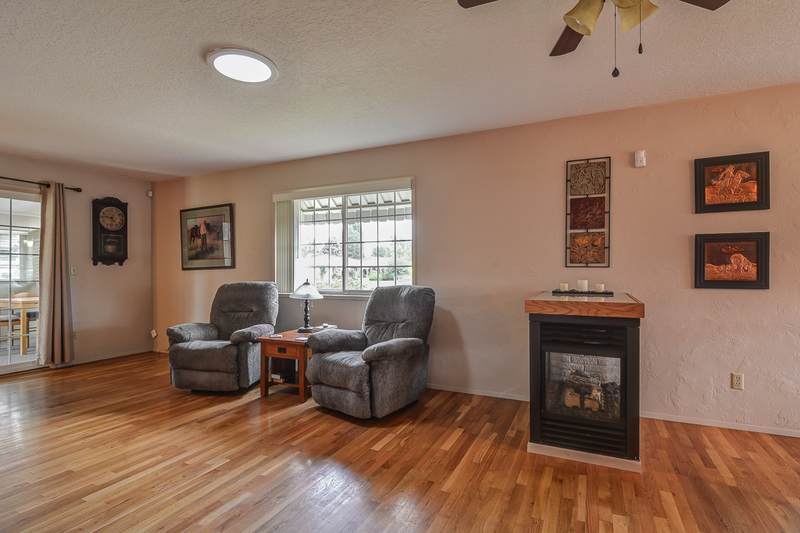 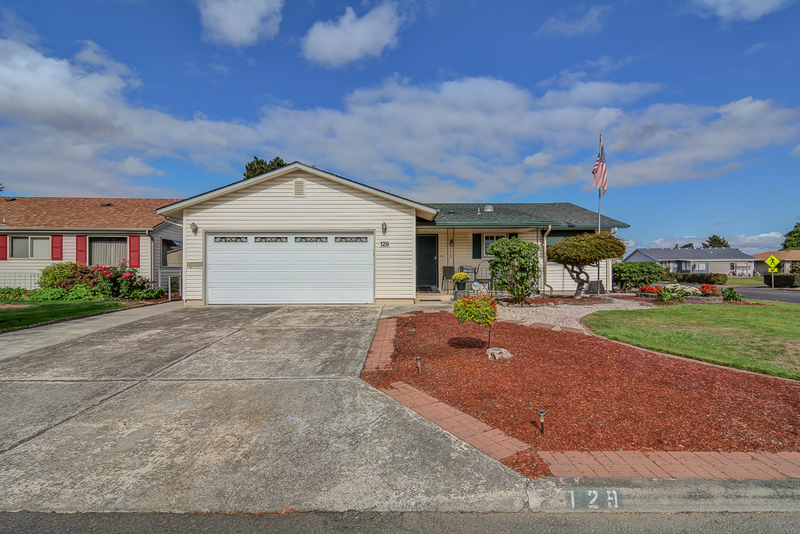 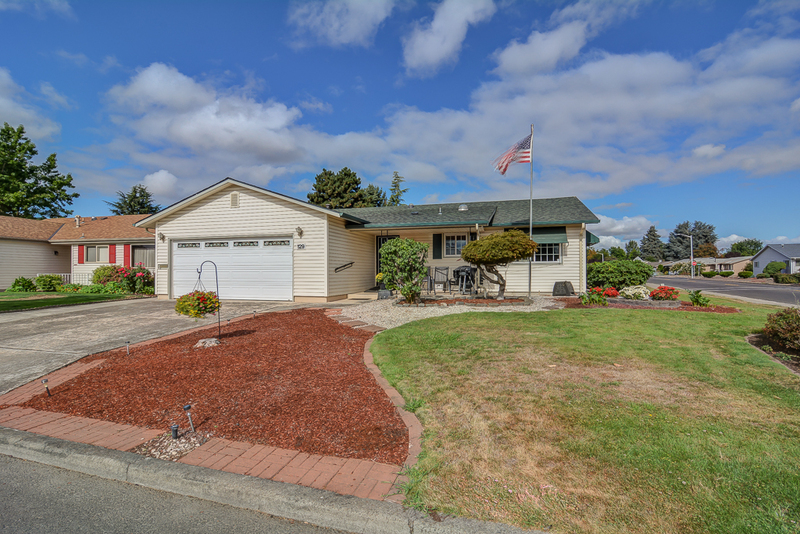 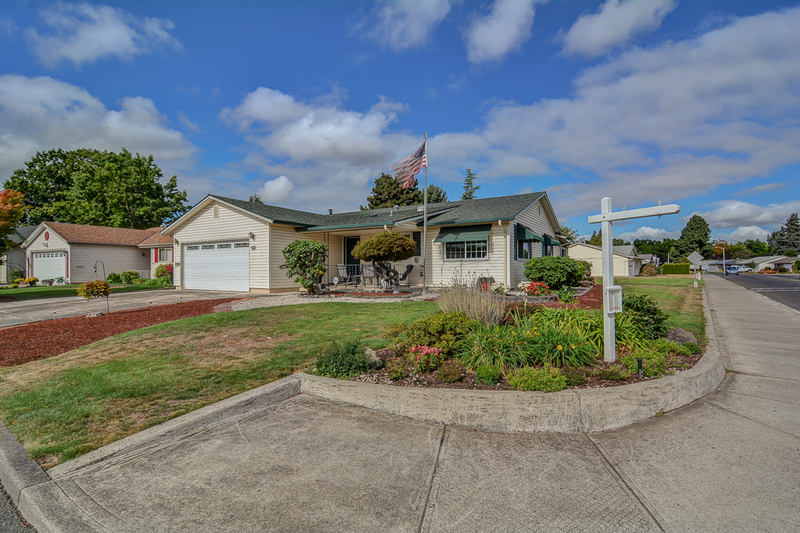 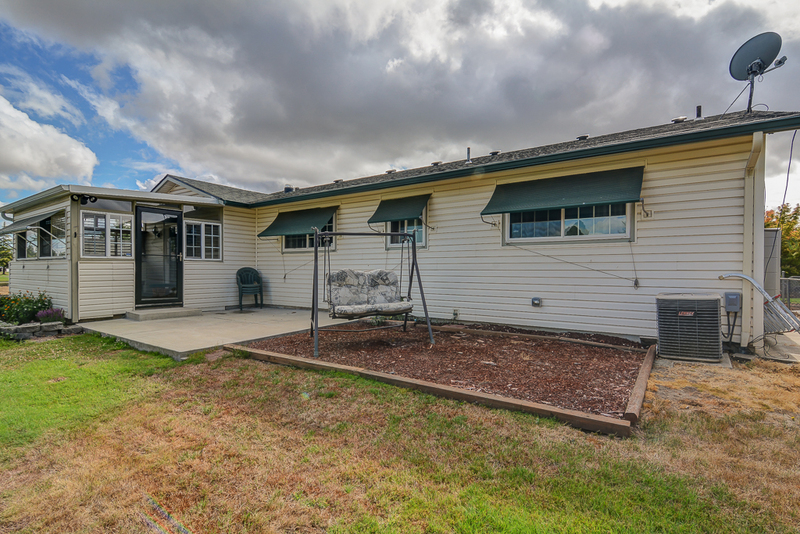 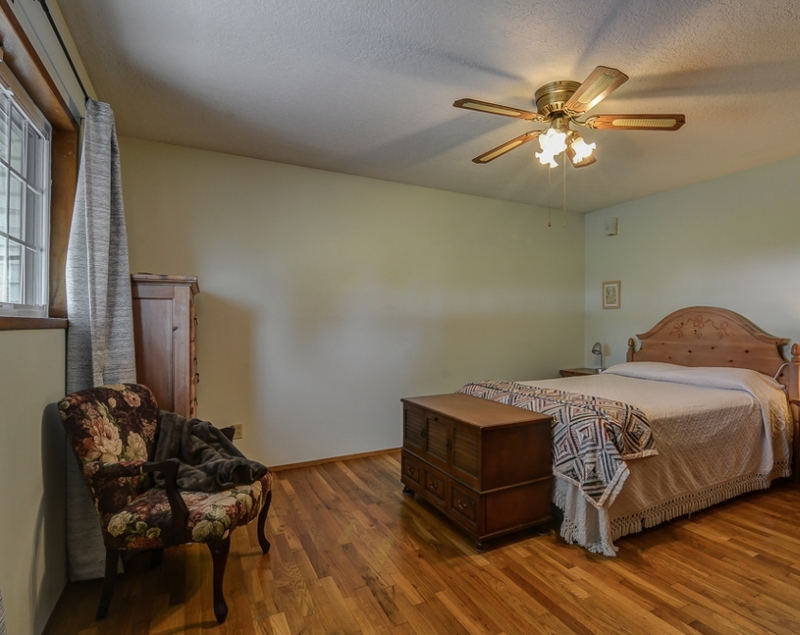 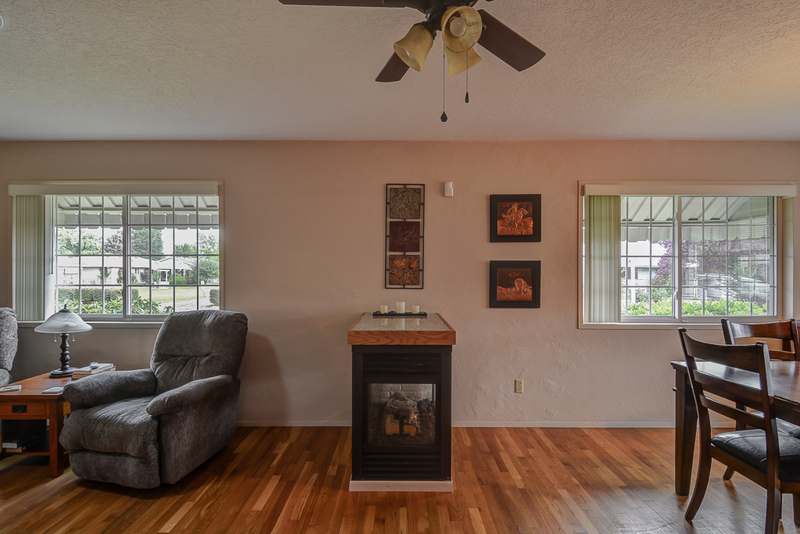 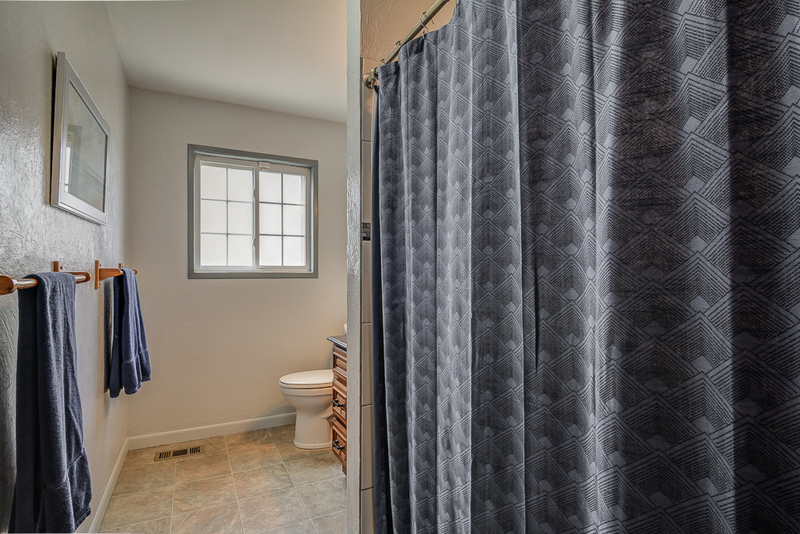 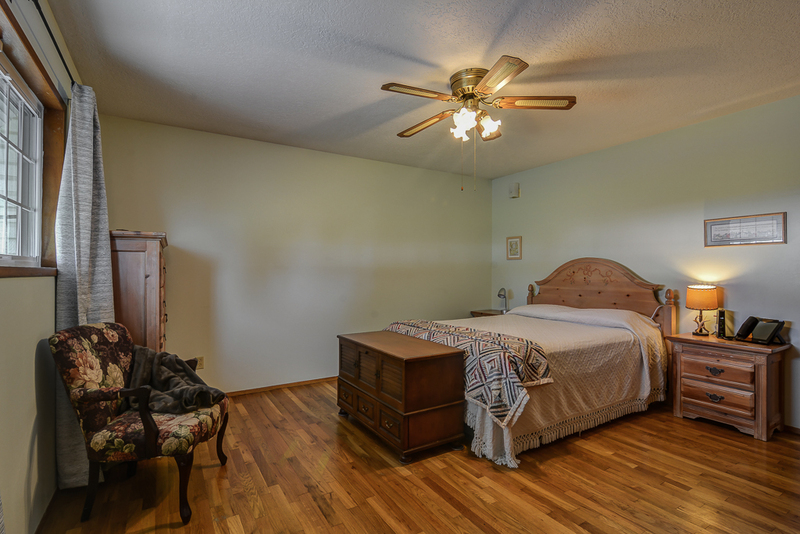 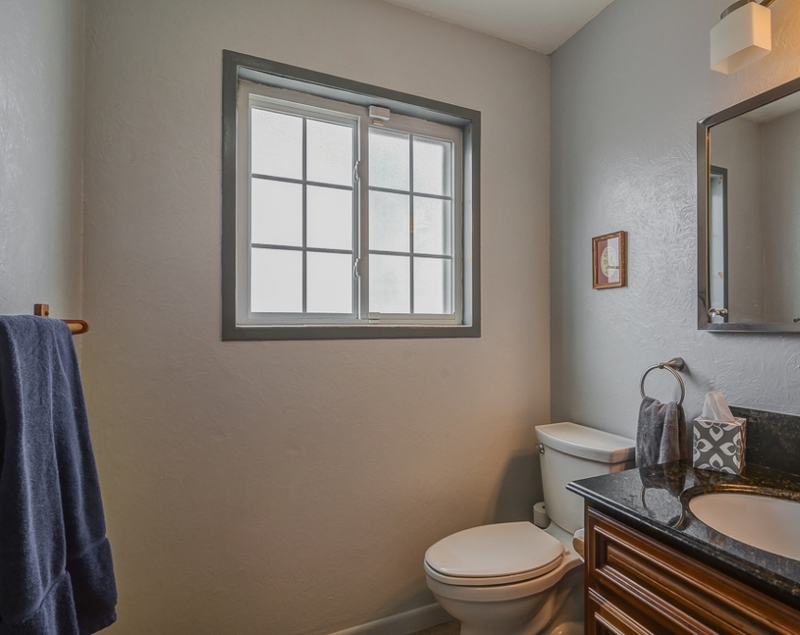 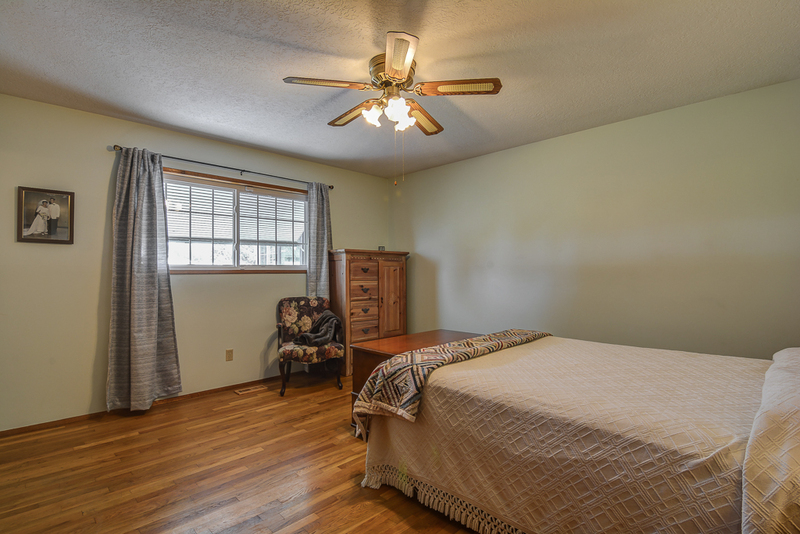 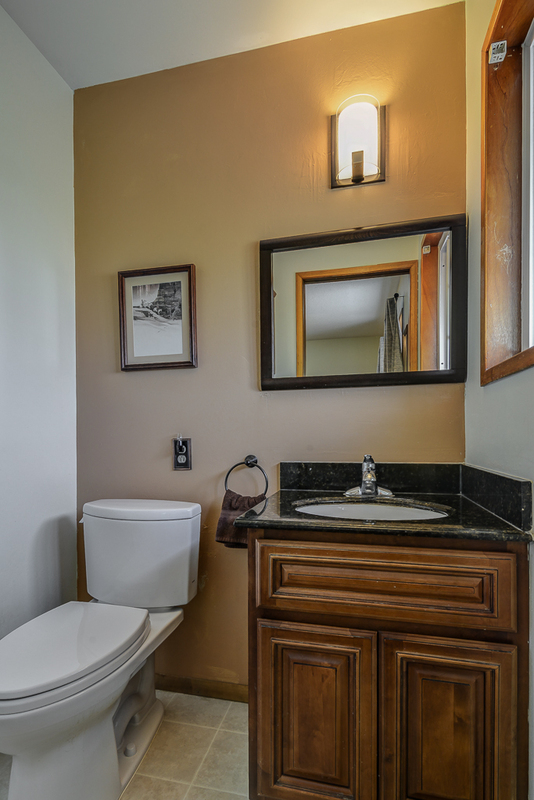 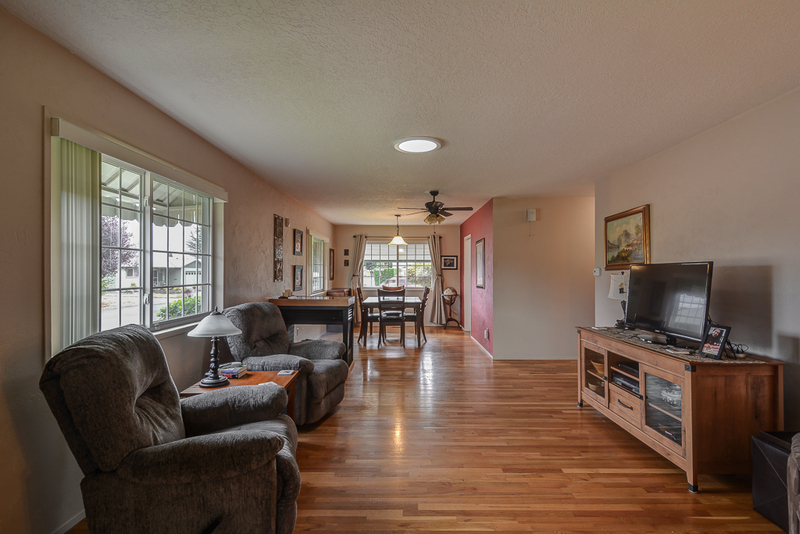 This well-equipped single level home features remodeled bathrooms with ADA toilets, walk-in shower, and accessibility ramps. 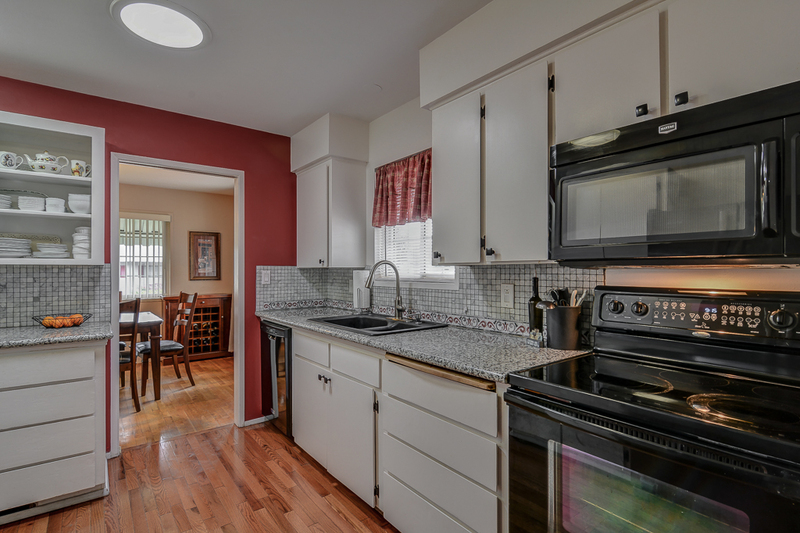 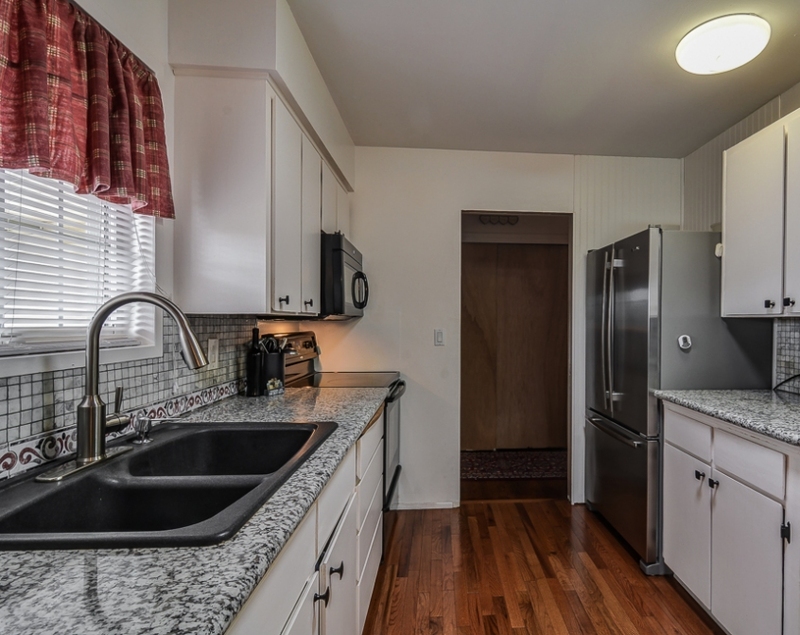 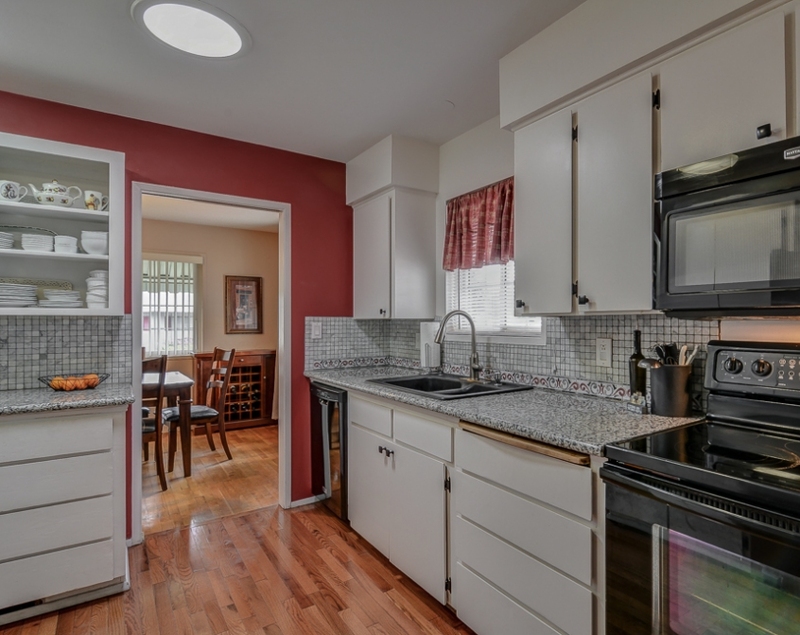 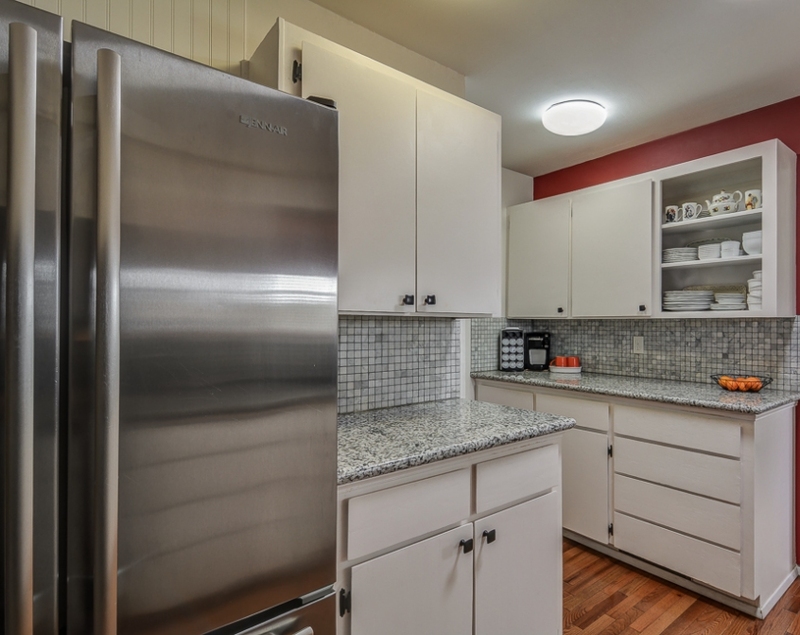 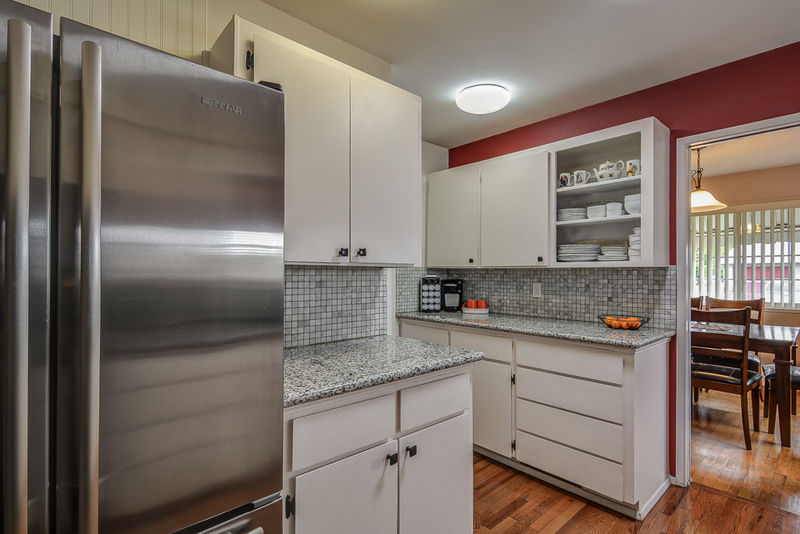 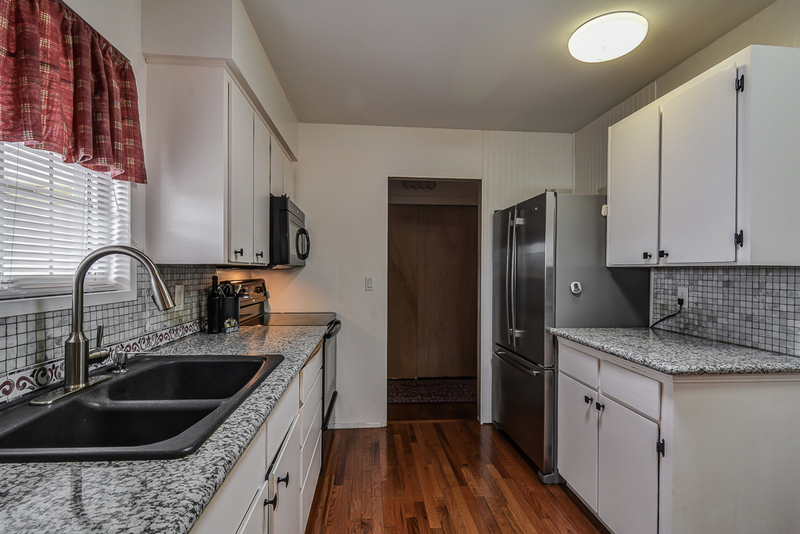 Kitchen features granite countertops and ample storage space including a walk-in pantry. 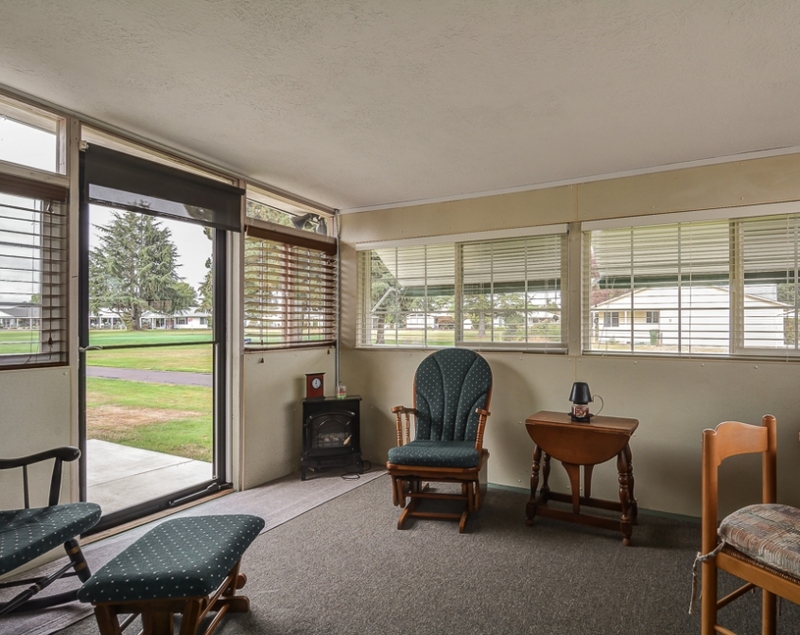 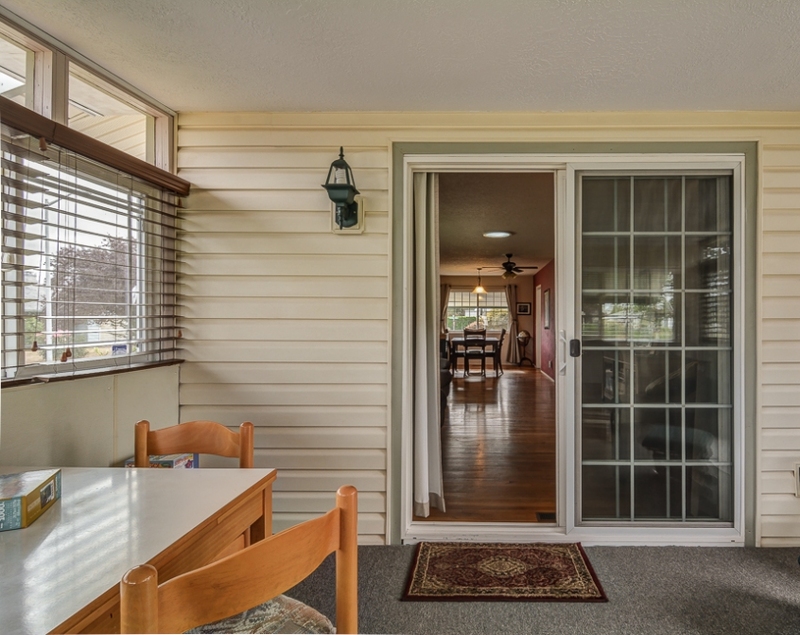 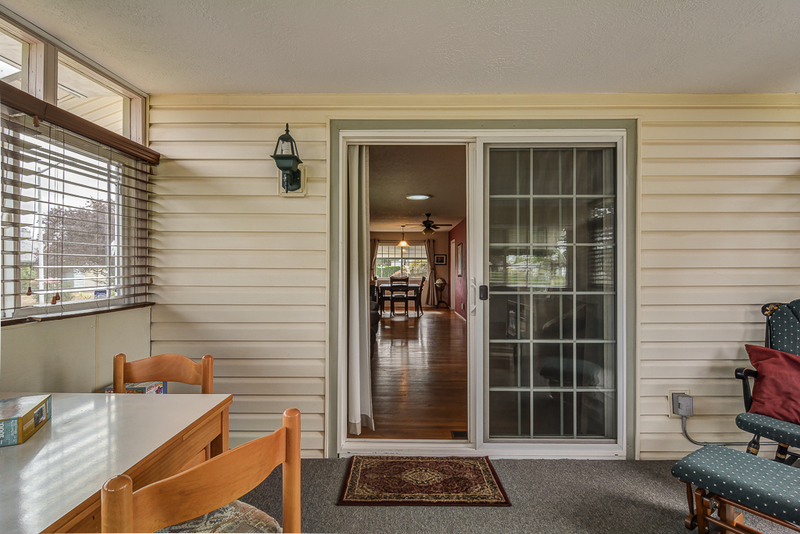 Recent updates include: new water heater, furnace, granite countertops, insulation, all new appliances, and roof for sunroom. 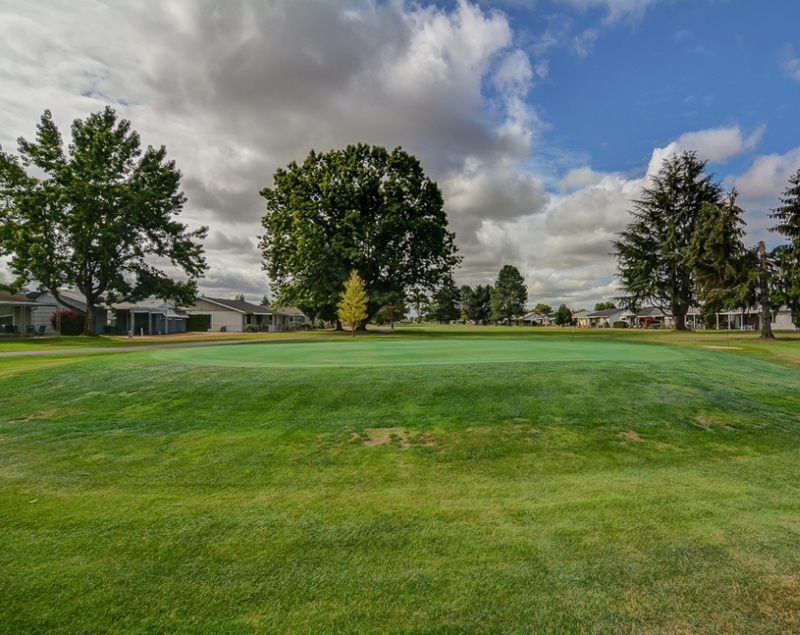 Enjoy the low maintenance of the front & back yard with auto-sprinklers, and views of the golf course. 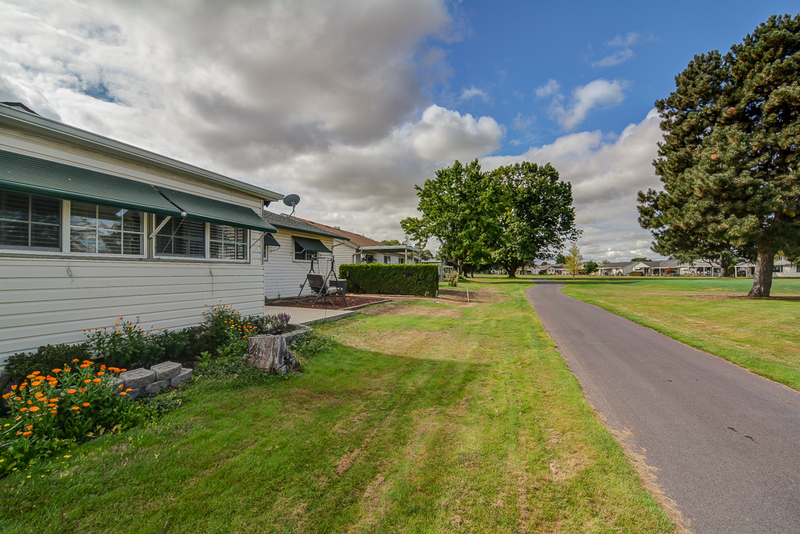 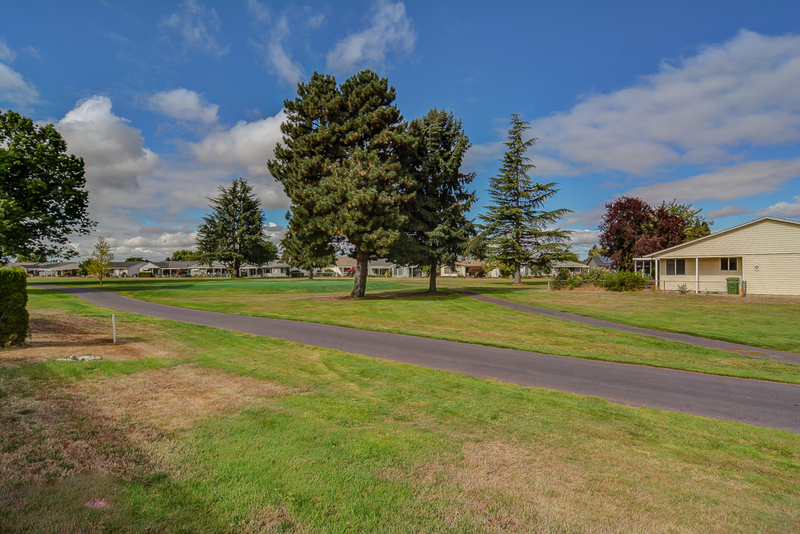 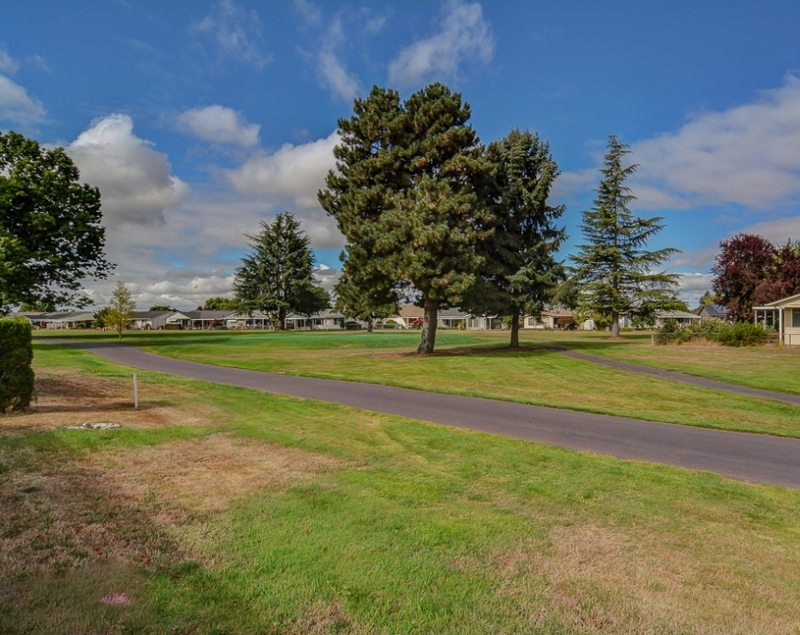 Amenities exclusive only to the Woodburn Senior Estates residence include access to the golf course, clubhouse, library, pool, weightroom, community bonding events such as holiday celebration, BBQ's, and even RV parking - everything covered by the HOA. 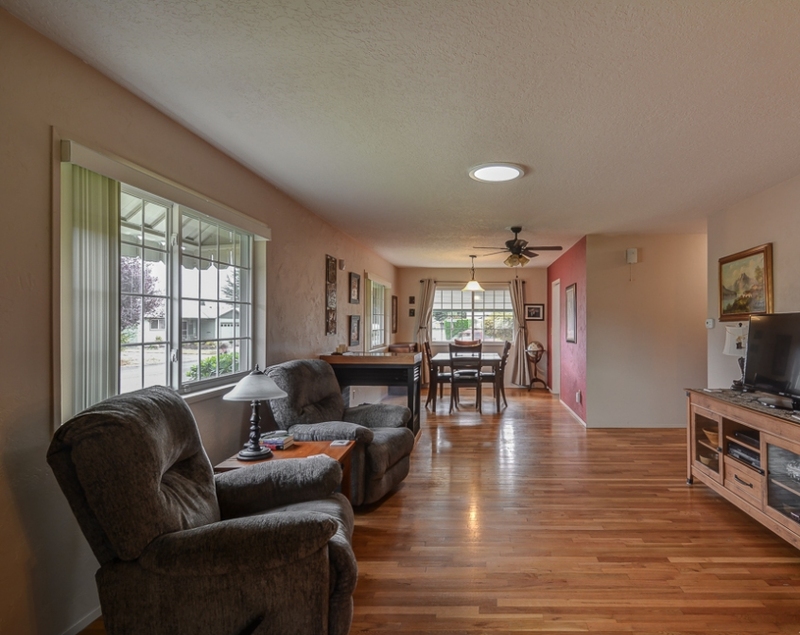 With the option of being able to purchase the furniture along with the house, this home is truly move-in ready!